Utility Service Specialists | Contact us for a quote on mounted drills today! ML Utilities has two models of Excavator Mounted Drills for rent. 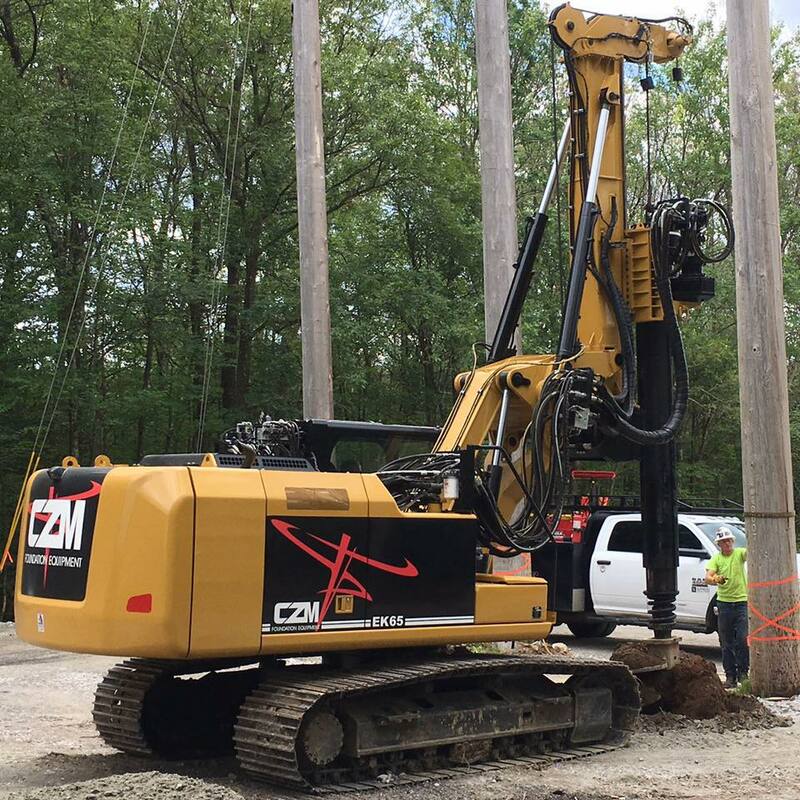 ML Utilities offer a targeted line of CZM Foundation Equipment machines engineered for the electrical utility industry. CZM's team of highly skilled engineers offers intelligent solutions for development and improvement, building the finest product line made in the USA. CZM products are recognized for their high quality and superior after-sales service, as well as innovative design. CZM's customer-oriented philosophy relies on the qualified professionals at ML Utilities to provide services which include corrective and preventative maintenance, commissioning, parts, tools and accessories sales, and more. Click here to read CZM's partnership announcement.